Get up & Glow...into the night! The Holiday season is about here! Work parties, get togethers, spending time with family and friends...all great opportunities to try out some holiday make-up and hair styles. 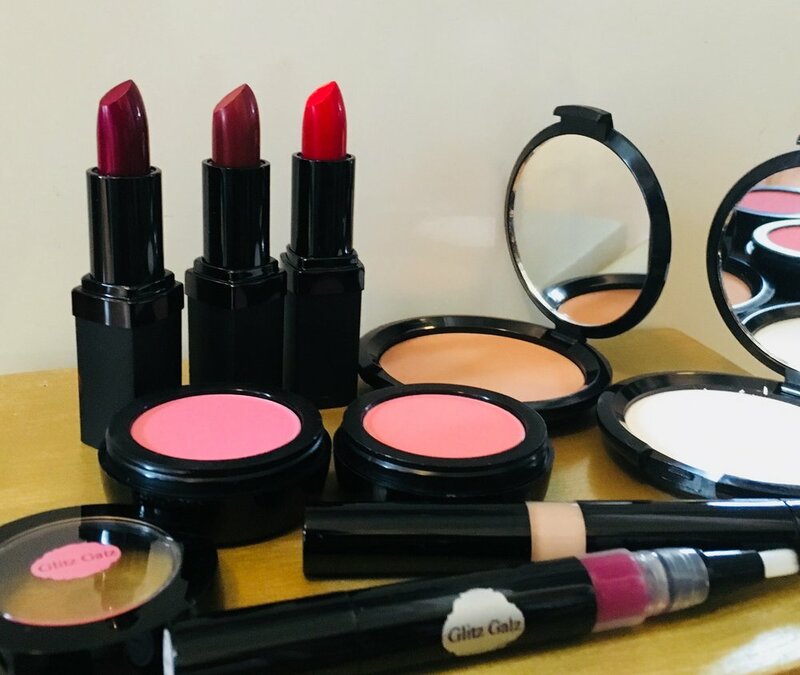 Why not book a make-up lesson with a friend, a daughter or your mother as a special gift? Or what about having a fun night out with your girlfriends at a make-up party? We can help! It’s time to spread some holiday joy and give to those we love. If you’re getting married this spring/summer 2018 then you’re in luck! One of the most popular trends for nails is a soft blue polish shade. Not only is this really pretty but it is a perfect solution to the “something blue” dilemma. It can be worn subtly as a “Thursday nail” (when the finger next to your pinky is painted differently than the others), or it can be worn and hidden on your toes. Here are a few of our favorite shades of blue to start trying on now in time for your big day. There’s no tip toeing around it, this is a super cute way to add in some blues! Glitz Galz 2018 wedding season has begun. Our busiest time is Spring-Summer and that’s finally arrived! 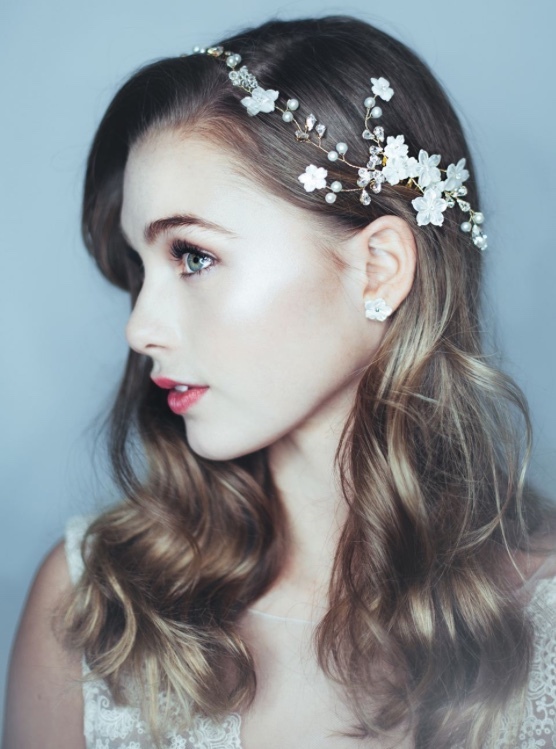 We can’t wait to share some of this years beauty trends with all the lucky 2018 brides just in time to be able to try a few things out during trials. First, we have healthy, glowing skin. More reason to use airbrush make-up and subtle highlighter in all the right places. 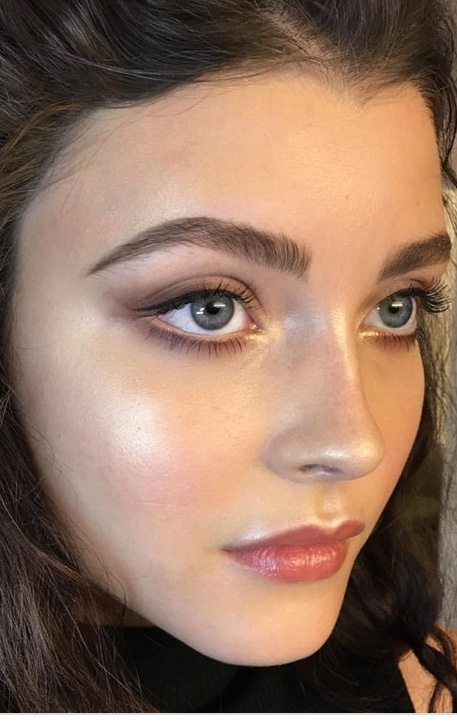 Get your glow on! For a healthy complexion, we are adding our favourite “Playful” blush to the apples of the cheeks for a romantic flushed rosy cheek look. Here comes the drama...Bold lips are making a statement this year! Yes, this is higher maintenance but totally worth it. We have two favourites we use: “Plateau” and “Russian”. A classic plum shade and of course, a beautifully flattering red. Glitz Galz have our own line of products available for sale for touch ups. With this trend, touch ups are not optional. Glitz Galz make-up featuring trend shades. The popular flower crowns are being traded for smaller flowers like Baby’s Breath. We are seeing more touseled waves and effortless hair styles like simple buns and ponytails in shiny/glossy looking hair with loose, understated bows. the 2018 hair trends are leaning towards a more laid back look with lived in texture. It’s definitely a glamorous, classic and romantic year for all brides. We are looking forward to customizing some of these make-up and hair trends on our beautiful 2018 brides.